Pioneers of Southeast Alaska: Patrick J. Gilmore, Sr.
Ketchikan, Alaska - The hand-written letters arrived in County Galway, Ireland, describing the wonders of a place called Ketchikan-a seaside town with forests, mountains, streams, friendly people and promise for the future. Best of all, everything in Ketchikan was green, as green as the hills of Ireland! The letters were written by Peter Gilmore, who'd left his Irish home in 1898, joined the gold rush to Alaska and then settled in Ketchikan. Peter's younger brother Patrick Joseph Gilmore, who was about 22 at the time, read the letters and felt drawn to what sounded like the greatest place on earth. For a time Patrick remained at home, worked on the family farm and ran around with school chum Mike Heneghan. The two young men had gone to school together, made plans for the future and worked as apprentices, Patrick as a men's clothier and Heneghan as a baker. While completing his apprenticeship Patrick met a girl, Elizabeth Anne Guinan who was a teacher at the Catholic convent in Dunmore. He made up his mind to marry her-but not yet! The letters from Peter continued to arrive, describing growth and business opportunities in Ketchikan. Peter had started a saloon on Front Street called "The Emerald;" his business did so well he soon added a bowling alley (the town's first) and rooms-for-rent upstairs. Patrick could stand it no longer; he had to see Alaska for himself. At this time he did not try to convince Elizabeth Anne or Heneghan to join him but set off alone for the land of opportunity-Ketchikan. By 1905 Patrick had started his own business, "The Clothing Emporium," in a rented building on Dock Street. The store sold "serges, worsteds, raincoats and cravennettes" and other clothing for men, according to a newspaper ad. Like his brother, Patrick wrote glowing letters back home to Ireland. He convinced one of his sisters, Mary, and his buddy Heneghan to join him. When Heneghan arrived in 1904 he purchased an existing business, the "OK Bakery," located in the same block as Patrick's store. 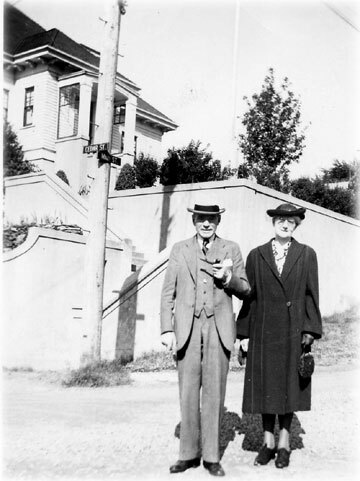 Patrick and Elizabeth-now known by everyone as "Pat" and "Lizzie"-had their first child Mary (who later became well-known Ketchikan historian Mary Balcom) in 1907. They went on to have seven more children, though all did not survive. 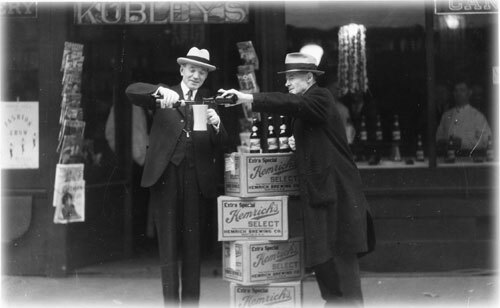 Pat Gilmore, Sr. and Jack Davies Celebrate the end of Prohibition. December 5, 1933, marked the end of Prohibition for the United States when the last state (Utah) ratified the 21st Amendment, which nullified the 18th Amendment. The 18th Amendment prohibited the sale or transportation of liquor. Four of the children died before reaching adulthood, one in the flu epidemic that struck Ketchikan in 1918. Pat's son, Pat Gilmore, Jr., said in a 1994 interview that he remembered the small coffin of his sister Josephine being laid out on the dining-room table. The tragedy brought tears and sorrow and left the family with only four surviving children: Mary, Patrick Jr., John and Elizabeth. He got his first taste of politics in 1910 when he was elected to the Ketchikan City Council, on which he served four terms. He also served on the Ketchikan School Board from 1924 to 1930. A Democrat, he became a delegate to the first Alaska Territorial Convention in Juneau in 1912. The purpose of the convention was to select candidates for the first territorial legislature which convened in 1913. Although busy with politics, Pat did not ignore business opportunities. He contracted to build a three-story concrete building on Front Street and in 1927 opened his new Gilmore Hotel. He also founded (with other investors including Heneghan) two additional companies: the Ketchikan Cold Storage and the Miners and Merchants Bank. Both filled a need in the growing town and prospered. 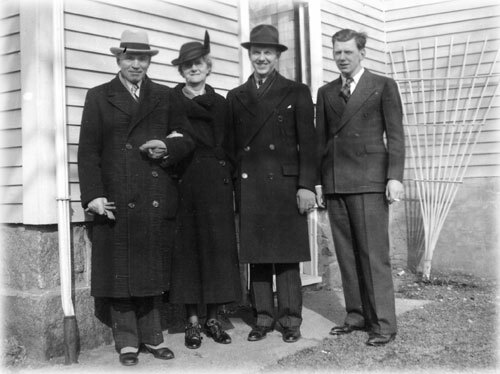 In 1933 Pat ran for city mayor, espousing a three-part platform: lower taxes, reduced electric and telephone rates, and better coordination of city services. When he won the election, always the clothier, he dressed to the hilt for his swearing-in ceremony. He wore a tailored suit, vest, cravat and even a black top hat-which made him the best-dressed mayor the town had ever seen! During his mayoral years, Pat loved nothing more than holding an annual St. Patrick's Day Ball. Each year he promoted the festivities and the "wearin' of the green"-green ties, vests, gowns and corsages. (All proceeds from the ball went to the Ketchikan General Hospital.) Townspeople looked forward to the balls, which were held at the Red Men's Hall. The festivities would last all night with much dancing, drinking and singing of Pat's favorite Irish songs: "When Irish Eyes Are Smiling," "My Wild Irish Rose," and "Come Back to Erin." Pat also built a new four-story family home in 1933 on what was then called Knob Hill (upper Main Street). With a high cement foundation, two basements and full attic the home towered above downtown and had a panoramic channel view (and still stands today at 601 Main). The final seal of their friendship was Heneghan's marriage to Pat's niece Regina Curtis, who was the daughter of Pat's sister, Mary Gilmore Curtis. Pat and Heneghan were now more than friends - they were relatives! Pat retired from the men's clothing business in 1936, but continued to operate the Gimore Hotel building. In addition to the hotel he leased space to the Arcade Café, Elite Beauty Shop, Piggly-Wiggly Grocery and other businesses over the years. He also started the Ketchikan Building Company, which managed the Commercial Building (today's Wells-Fargo Bank building) that housed the Miners & Merchants Bank. In 1944 he was appointed U. S. Commissioner and Judge of the Probate Court for the First Judicial District, a position he held until 1952. People now referred to him as "Judge Gilmore," a title he was proud of. The same year, however, tragedy again visited the family when daughter Elizabeth died from pneumonia. A beautiful young woman, Elizabeth had remained close to her parents, brothers and sister. They buried her in Ketchikan's Bayview Cemetery along with two of her siblings, Joseph and Josephine. Then more tragedy: Pat lost his dear Lizzie in 1951. Her death left him alone and unhappy in the big Knob Hill house. For awhile he continued to do some business and enjoyed visiting the Elks Club to play Pinochle, smoke cigars and drink Irish whiskey with friends. But soon his health began to fail. 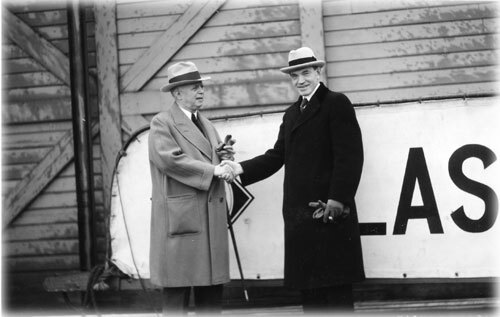 In 1953 he leased the Gilmore building to the Stedman Hotel Company, which operated both hotels under the same management. In 1954 his son Pat, Jr.-who'd gone to law school and been living and working in Juneau as District Attorney for the First Judicial District-and his wife and daughter returned to Ketchikan and moved into the Gilmore house. But life was not the same and six years after Lizzie's passing Pat, Sr. died. It was February of 1957. He'd come a long way from his County Galway roots, loved his land of opportunity, helped it grow and provided opportunity for the future. Allen, June. "Gilmore name a part of Ketchikan," Ketchikan Daily News, August 21, 1995. Balcom, Mary G. Ketchikan Alaska's Totemland, Chicago, IL: 1961. "Gilmore Here Before Banks 30 Years Ago," Ketchikan Alaska Chronicle, April 16, 1931. Gilmore, Patrick J., Jr. Interview by Anne Gilmore Terhar, Ketchikan, AK: 1994. Roppel, Patricia. "Where Can I Buy One of These?" A History of Ketchikan Alaska's Business Community, Wrangell, AK: 1999.